I am taking this opportunity to highlight few features of DEXA service at IDC. 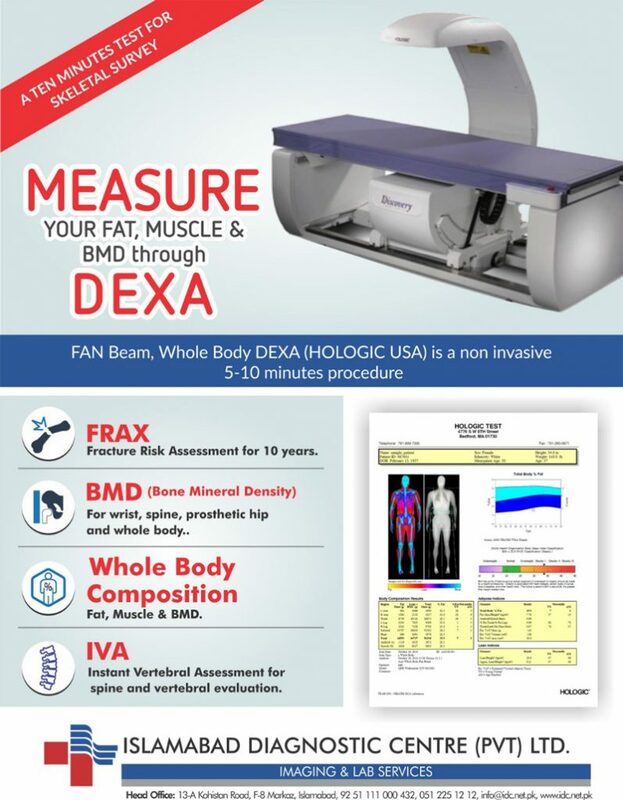 FAN Beam DEXA (Dual Energy X-ray Absorptiometry) available at IDC, is a non-invasive whole body scan from Hologic USA with FRAX (10 years Fracture Risk Assessment) & Instant Vertebral Assessment IVA. For further details about this service feel free to contact the undersigned. Islamabad Diagnostic Centre (Pvt) Ltd.